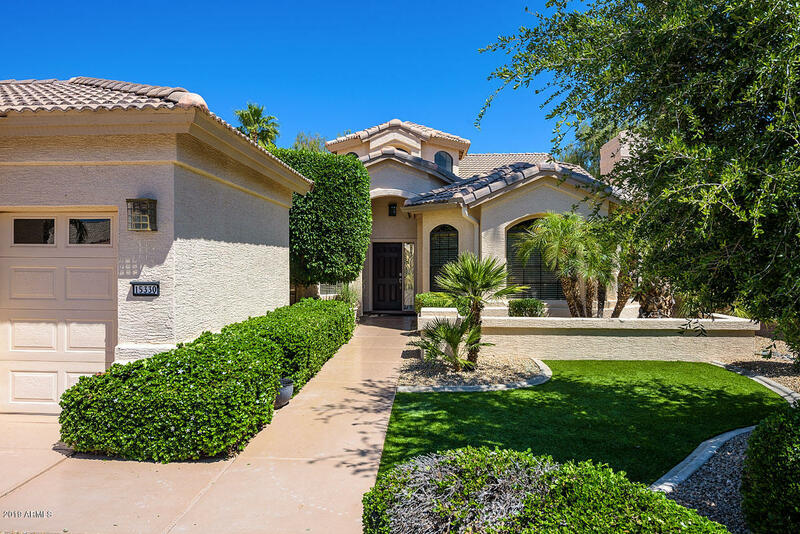 All PEBBLECREEK UNIT FIVE homes currently listed for sale in Goodyear as of 04/26/2019 are shown below. You can change the search criteria at any time by pressing the 'Change Search' button below. "DON'T MISS THE MAKEOVER ON THIS BEAUTIFUL HOME COMPLETED IN APRIL 2019!! INTERIOR PAINTED TO INCLUDE ALL WALLS, CEILINGS, CABINETS, BASEBOARDS & DOORS!!! ALL NEW WINDOW TREATMENTS!! Prior to that much of the lighting and all the carpets were replaced. You will be entertaining in style in this beautiful home situated on the 2nd Hole of the Eagles Nest golf course! Soaring vaulted ceilings allowing an abundance of natural light flowing through the home. Open floor plan with kitchen overlooking f"